The updates described are either important (where you need to take action) or of interest (you might want to know about these changes but you don’t need to do anything). JRuby is ideal for those who want to use Ruby and Rails and have existing libraries written in Java. JRuby also offers some efficiency and performance improvements over Ruby. For more information, see Deploy JRuby applications and the Engine Yard blog. 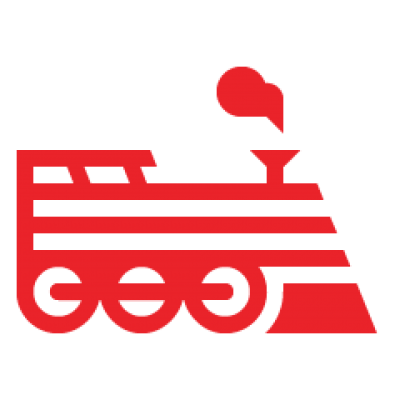 In some cases, Engine Yard Cloud applications on Passenger 3 with config.force_ssl=true were sending redirects that erroneously specified a port number. This resulted in “Server not available” errors. This problem is now fixed. MySQL 5.1 and 5.5 are available in Engine Yard Cloud with Alpha support. (Sign up to participate in the program.) MySQL 5.1 and 5.5 bring substantial feature and performance improvements over MySQL 5.0. For more information, see Use MySQL 5.1 or MySQL 5.5 with Engine Yard Cloud. For information about GitHub/Engine Yard account linking (Beta) , see Link a GitHub account to an Engine Yard account. PostgreSQL instances that are configured to use more than 8 GB of memory now start because SHMALL is set correctly. Because eix no longer rebuilds its database for every Chef run, you might notice that Chef runs are shorter. Fixed an issue where clicking reload or submit could accidentally create multiple accounts when signing up for a single account. Node.js is now installed by default under /opt/node. This change makes asset complication faster. The unix environment variable LANG is now set to C by default. Previously, LANG was unspecified by default. This fix resolves some gem installation problems. Nginx now supports retrieving assets from the local file system (the assets directory and the last_assets directory) or upstream from Passenger or Unicorn. This change is in preparation for full Rails 3.1 support. Fixed a problem where, under certain conditions, access log files fail to rotate, resulting in excessively large files. JRuby was upgraded to 1.6.4. Ruby 1.9.2 was upgraded to patch 290. This upgrade fixes problems with Dashboard graphs, false low memory alerts, and elevated memory usage and rogue processes for collectd. After upgrading, you might notice that the font for the Dashboard graphs has changed. Added log-bin-trust-function-creators to allow deploy users to create and upload SQL stored procedures. After this upgrade, you no longer have to add the Super privilege for the deploy user to create and load SQL stored procedures. NTP (network time protocol) is now multi-region aware; it will use an NTP server local to your region. HAProxy configuration was modified to remove the nbproc parameter. Use of nbproc is not best practice. It can cause restart problems and the HAProxy stats url to show only the stats for the worker in question (not for all).